An alleged head of a kidnapping ring in Lagos, Nigeria, is suing the Inspector-General of Police. Chukwudumeme Onwuamadike, who is better known as Evans, says he was unlawfully detained and a subject of trial by media. He stated that he should be charged or released. Police have told the BBC that they obtained an order from the Federal High Court to hold him for three months to enable them carry out investigations. In Nigeria, suspects are supposed to be charged within 48 hours of arrest and Mr Onwuamadike was detained nearly three weeks ago. At the time he was paraded before the media with the police celebrating his capture. They have been under pressure to tackle a wave of kidnappings in and around Lagos state. The police spokesman, chief superintendent Jimoh Moshood said that the suit was “mischievous”. and that police had sought more time from the courts because the suspect is accused of serious offences including “murders and armed robbery”. 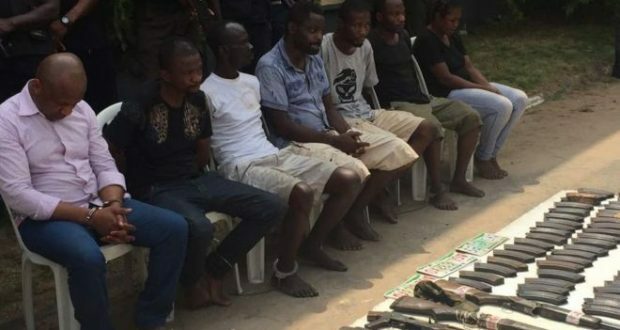 The BBC’s Haruna Shehu reports that since his arrest, Mr Onwuamadike, who has acquired notoriety in the country as reportedly being a kidnap kingpin, has given several interviews disclosing some of his methods and tactics. In his law suit, Mr Onwuamadike is claiming $1m (£780,000) in damages.